Here in historic St. Augustine we have this amazing lighthouse. You can see this sucker for miles! At the base of the lighthouse is a quaint little gift shop. It was in this gift shop that I found a cook book called “Lighthouse Secrets: A Collection of Recipes from the Nation’s Oldest City.” This has become one of my favorite cook books of all time! My husband and I recently celebrated our 16th wedding anniversary. We had planned to go out to dinner to celebrate, but I wanted to make something special for dessert when we got home. We are always so full in the restaurant and can never enjoy dessert out. I was paging through my lighthouse cook book and on page 192 I found this amazing recipe. 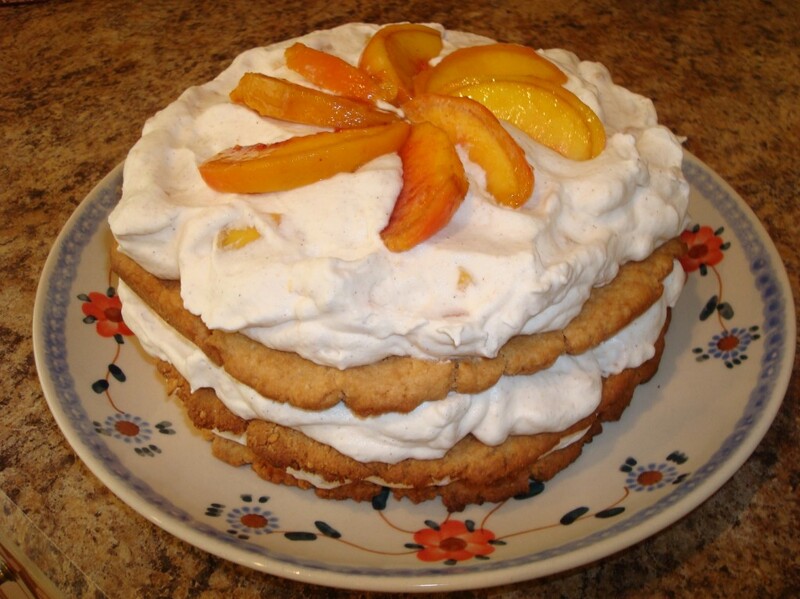 The combination of the fresh peaches and decadent cream along with the cookie layer was magnificent! I will be making this dessert again for many other special occasions…and just might try different fruits too! *See my instructional post on how to blanch and peel fresh peaches! Preheat oven to 375o. 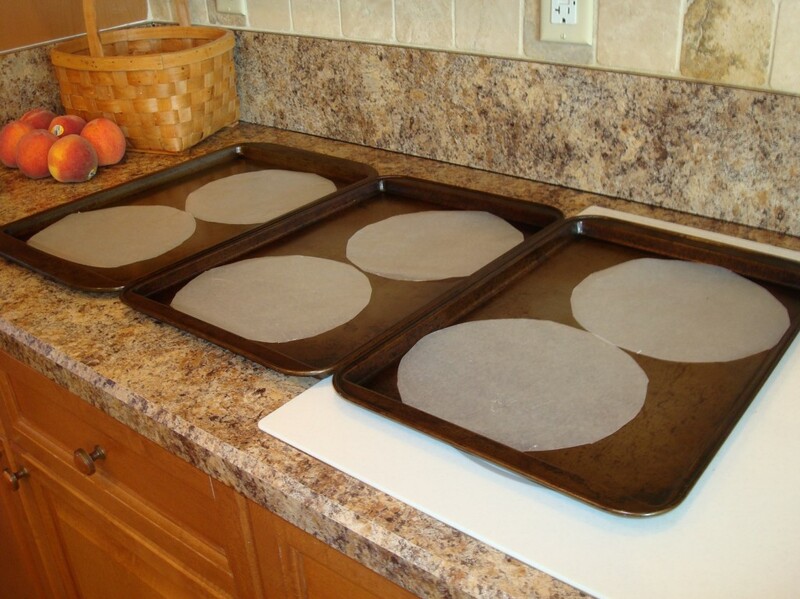 Cut 3 (8 inch) wax paper circles, and place on a large baking sheet. Beat wafer crumbs and butter at medium speed with an electric mixer until crumbly; gradually stir in 1/2 cup cold water until a moist dough forms. Divide dough into thirds. Press each portion onto a wax paper circle. Bake at 375o for 12 to 15 minutes. Let cool 15 minutes or until firm. Beat cream, sugar, and almond extract at medium speed with an electric mixer until stiff peaks form. Reserve 8 peach slices for garnish. Chop remaining peaches, and fold into cream mixture. 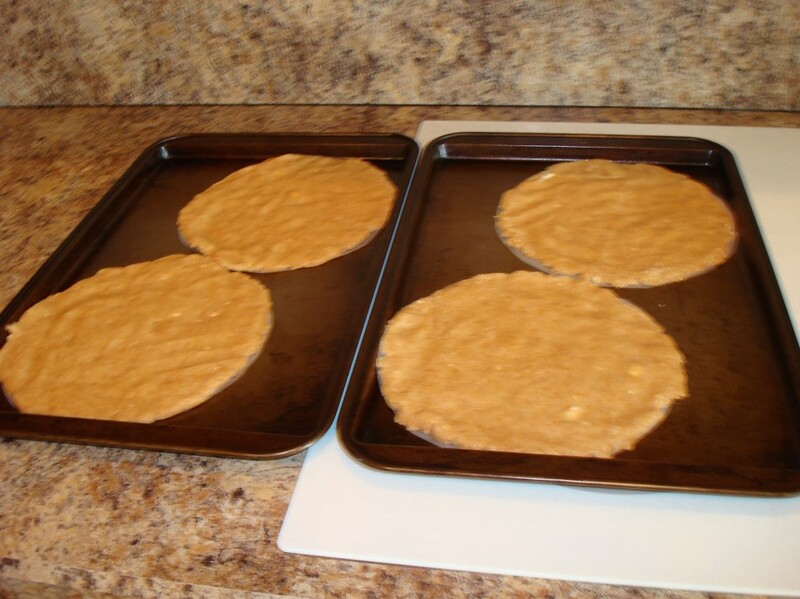 Remove wax paper from crust rounds; spread 1 round with one-third of peach mixture. Top with 1 round, and spread with half of remaining peach mixture. Top with remaining round, and spread with remaining peach mixture. Chill 4 to 6 hours.